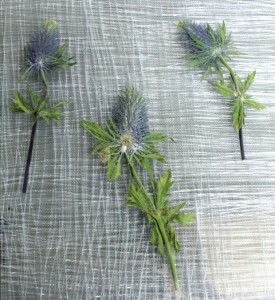 The clarity of the glue, gently suspends the thistles giving an almost stained glass effect. The glow of light passing through, illuminating colour and texture. The light acts as one aspect of the perception of space and the clear glue holding the thistles, creates the illusion of weightlessness. Tecbond glue sticks, more than just an adhesive ! 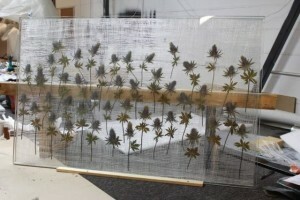 Hopefully we will add further images of the work installed soon.